Ever seen BODYPUMP on your local Brio centre timetable and wondered what it is, what you do, and how good it is for you? Well, we’re here with a complete breakdown of everything you need to know about it! 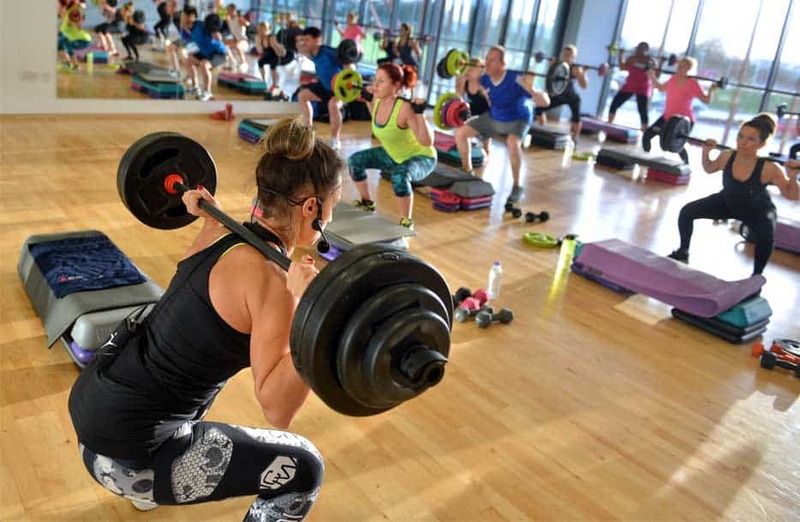 BODY PUMP is one of the Les Mills branded classes we run, alongside BODYCOMBAT and BODYATTACK. It’s a group exercise class that utilises a barbell and various other weights to get you lean, toned and fit. The BODYPUMP method involves using lighter weights and focusing on more repetitions to work your entire body and leave you feeling like you’ve had a fantastic workout. Classes are an hour, and Express BODYPUMP classes are 30 minutes. What do you do in BODYPUMP? Exercises changes with each release (version) of the class, but you’ll always be using a barbell and weights to work out your arms, shoulders, back, legs and chest. There’ll be a track for each of these, so each area gets a good workout. As well as using the barbell for exercises such as the chest press and standing row, you may be using plates or dumbbells to work out your arms, doing tricep dips off the edge of your step, or maybe even push ups too. Don’t worry though – all of these exercises can be scaled up or down depending on how confident you are. What are the benefits of BODYPUMP? BODYPUMP works all of your major muscle and can have you burning up to 540 calories in a single class! Lots of people see that it involves weights and are instantly put off as they think it’ll make them bulky, but that’s not the case. By focusing on more reps with lower weights, you’ll improve your core strength and build lean muscle, so no need to worry about bulk! What do I need to know before my first BODYPUMP class? We’ve covered most of it here, but if it’s your first class then just let the instructor know. There’s a bit of set-up involved as you’ll need a step, a barbell with clips and weights, and any additional weights too. Your instructor will help you get this set up and advise on which weights to use, and they’ll also offer different levels of exercise so you can ease into the routine. We recommend you stick with one weight throughout your first few classes. When you’re more comfortable with the routine, you can join the rest of the class in scrambling to change weights between tracks! So, that’s everything there is to know about BODYPUMP! If you’ve not tried it before then take a look at our timetables and book a class now. If you’re already in love with it then let us know your top tips below!